No matter what the franchise, Bravo’s Real Housewives reunions are always filled with drama. Women confront each other about the semantics of specific moments from episodes, filmed months before, and drag each other for the responses they (presumably) didn’t know were coming until the show aired. The reunion specials are especially emotional, and that’s why they presented a heightened environment for Eileen Davidson and Kim Richardson to have discussed their experiences with abusive relationships. 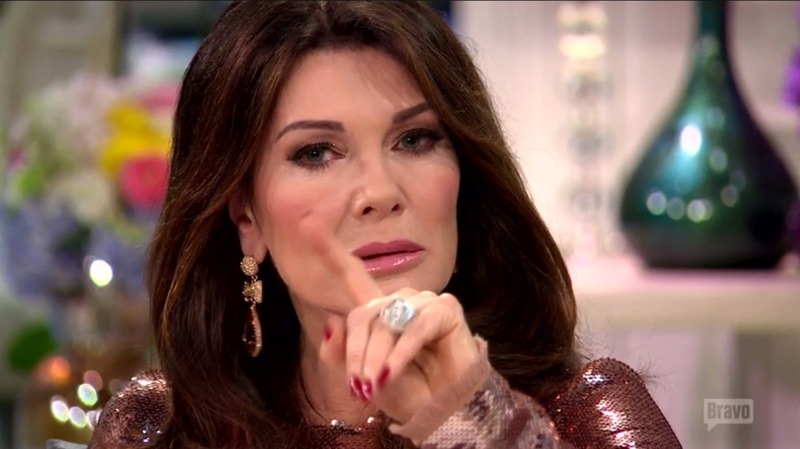 Lisa Vanderpump’s tears over her physically abusive ex-boyfriend are turned into a sneak preview clip for tonight’s reunion episode. But it took work to get her there. Host Andy Cohen prods Vanderpump — who, I’ll remind you, is his employee — to open up about the abuse in her past. “But I didn’t want to share,” she says, referencing a dinner party when the RHOBH cast was discussing painful memories and Vanderpump chose to keep silent. Now, under the studio lights, she does open up. “I was 19, and I was threatened and physically hurt,” she says. “The relationship was quite a long time.” Even those simple details are obviously painful for her to share. In a world of celebrities opening up about trauma more than ever, perhaps we’re too accustomed to stars who share everything. Vanderpump saying she’s uncomfortable should be all we need. Were her tears worth this preview clip? Do you think Andy Cohen pushed Lisa Vanderpump too far on this sensitive topic? Let us know in the comments.